What's missing from the Cover Wars/Scavenger Hunt combination is connecting the prize(s) with the sponsors. A gift card is nice but doesn't fully capture the essence of the campaign. So, those who sign up for the Scavenger Hunt in February will have the option of giving their book away, and because of the number of people who are reached by this campaign each month, it's something worth considering. Now, paperbacks are awesome and would certainly be appreciated by the winners—but not required by any means. Ebooks will be fine, but I will not personally fulfill prizes. I will simply provide winning email addresses to the authors. The power behind Cover Wars is the community driven traffic. You bring your family, friends, and anyone else you can get—have them come to the site to vote for your book every day. By doing this you are helping your fellow competitors. Exposure for all! 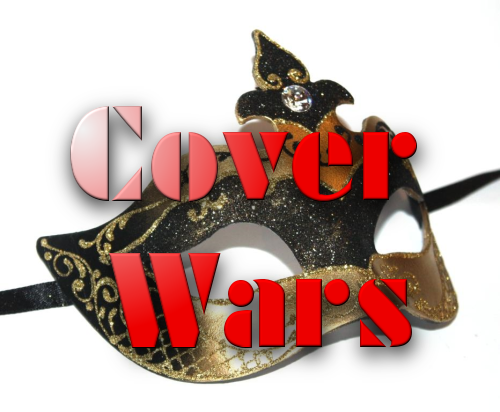 The winner of Cover Wars gets free entry into the next month, extending the exposure ... so it's worth it to promote the campaign in general. Not only does it mean exposure for your fellow authors, it also means that your book might stick around to defend its title. Scavenger Hunt: each scavenger will be encouraged to check out each book in the competition. They go to your book's Amazon page and answer a question about your book for a chance at a prize. They can also choose to follow you on Twitter, like you on Facebook, not to mention check out your blog to answer another scavenger hunt question. Once again the exposure factor cannot be ignored. In addition to simply adding a giveaway to the lineup, there's another fun thing I can do with this. Each participant will have the opportunity to choose which book they would like to win if their name is drawn from the virtual hat. Well, besides more opportunities for people to thoughtfully consider your book, it will mean adding a synopsis to the campaign. It's not simply about your cover anymore. We're honing in on the content of your book. Ultimately, that's what people fall in love with, right? We may pick up a book because of its cover, but we put it down because of what's inside. For the small additional fee, your book is included in the giveaway, which means that it will be displayed more than a book that is simply in the Scavenger Hunt—and more prominently as well. A pic of all available books to be won will be used to showcase the giveaway. Also, tweets that mention your book specifically will be used, whereas books just in the Scavenger Hunt or just Cover Wars aren't featured directly that way. And, finally, as alluded to before, books that are available in the giveaway will have a synopsis included—yet another way your book is exposed to the campaign participants. Some have not been getting my emails, even if I email them via the contact email provided (over the email account associated with PayPal). So, I highly suggest you add my address to your contact list or approved list through your email provider so that my emails don't go to the Junk folder ... or at least check your Junk folder if you haven't heard from me. If you only sign up for Cover Wars, I don't need any additional info from you, so you won't hear from me until after the campaign starts. If you sign up for either version of the Scavenger Hunt, I will email you a few days to a week before the campaign starts—when exactly depends on how organized I am around that time.